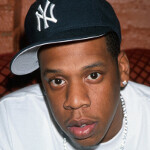 The other day, we told you that Samsung and Jay-Z were hammering out a $20 million partnership. A tweet was sent out on Sunday that presented a special deal to owners of Samsung Galaxy devices. According to a dedicated website, Jay-Z's new album, Magna Carta Holy Grail, will be made available for free to 1 million owners of the Samsung Galaxy S III, the Samsung Galaxy S4 and the Samsung GALAXY Note II 72 hours before the album is available in stores. Here is how it will work. If you own one of the above listed Samsung devices, on June 24th you will need to download a special app from the Google Play Store. The Magna Carta app is required to get the album and includes a special look inside the album. Then, on July 4th at 12:01 am EDT, the app unlocks Jay-Z's new album 72 hours before it drops in the stores. The dedicated web site includes a timer counting down until the album becomes available to those million Galaxy users. Check it out by clicking on this link. I'm afraid as in the past everyone will look past this as an obvious money maker with no regard for the actual audience or the music. This is another unfortunate example of someone who's in music for the money, not the music. But he provides a consistent enjoyable escapism-entertainment where he makes up stuff and the audience lives through him. It's about hip hop it's about pop entertainment. I hate those guys for killing 2pac. Yor really think that's who killed tupac? Everyone knows Illuminati is fake, right? Jay z straight grinding to his goal of becoming a billionaire. Well done Jay Z, make your money man, glad i got my GS4, now waiting for that album. Samsung should have spent that money on educational filming of the manufacturing and design processes of Samsung, HTC, Nokia, and Apple. Maybe then the plastic haters will see how well designed their products actually are. Plastic haters :))) common 'Sammy' fan boy...are u that hurt ?! Give that plastic a bit of love boys ! :))) no need to worry..I'm sure with the lunch of note 3 we will see some more premium materials like aaaa..plastic metal look alike..a no sorry they already have that.. It belong for interested S Galaxy owner! !! His contract is with Sammy.